By Kristi · 3 Comments · · Disclosure: This post may contain affiliate links. Using an affiliate link means, I might earn a commission from any purchases through that affiliate link. We all have those busy days where we feel completely drained and have no motivation in us to cook dinner. However, those hungry stomachs aren’t going to stop growling until you fix something. Your family has had enough fast food, so it’s time to whip them up something delicious. The catch is you don’t want it to take you a lot of time and you want it to be delicious. Want to know my secret to nights like this? 30 Minute Hamburger Soup! 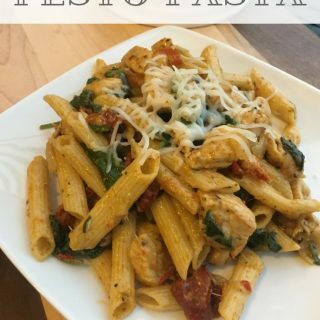 This meal allows you to take 30 minutes to prepare a delicious meal for your family. 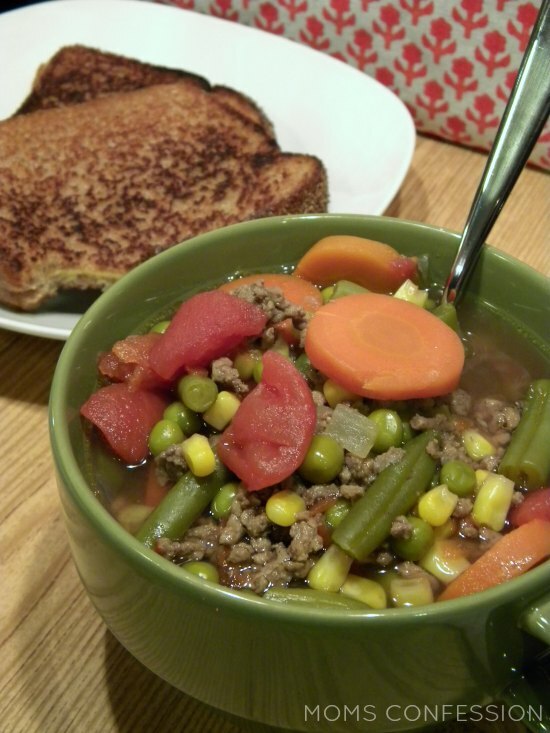 The first night I made this 30 Minute Hamburger Soup for my family, they fell in love. I wouldn’t lie to you about how delicious this recipe is, trust me. My family begs me to make this meal at least once a week. I can’t wait for you to see the expressions on your family’s face when you cook this incredible 30 minute meal for them. Brown hamburger meat with onion in a stock pot. Use any seasonings you normally use. Once the hamburger meat is browned, add the remaining ingredients to your stock pot. Bring to a boil for approximately 10 minutes. After 10 minutes, reduce heat to low and cook an additional 15 minutes. Remove from heat and serve! Mark this meal down on your menu planner and make room for it this week, you won’t regret it. Hey y'all! 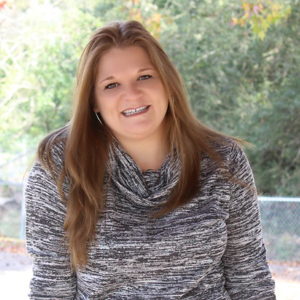 I'm Kristi, a go with the flow mom of 2 teen boys that's a little creative, organized enough and gets dinner on the table in a hurry. I just love your new idea of soup. Soup is good for our health and your ingredients are awesome. You have included ingredients that are full of energy. Thank you so much for sharing. I am giving 5 out of 5. Hey y'all! I'm Kristi, a go with the flow mom of two teen boys. Here at Moms Confession I share my life hacks [or creative ways] to keep my home organized and get dinner on the table in a hurry. Come as you are-- you'll find inspiration here, not perfection. Thank you so much for stopping by Moms Confession. Have you checked out the easy family recipes, organizing tips or simple crafts yet? There is a lot to explore here on my blog and I hope you will stick around! If you would like to stay up to date by email, subscribe to my newsletter!